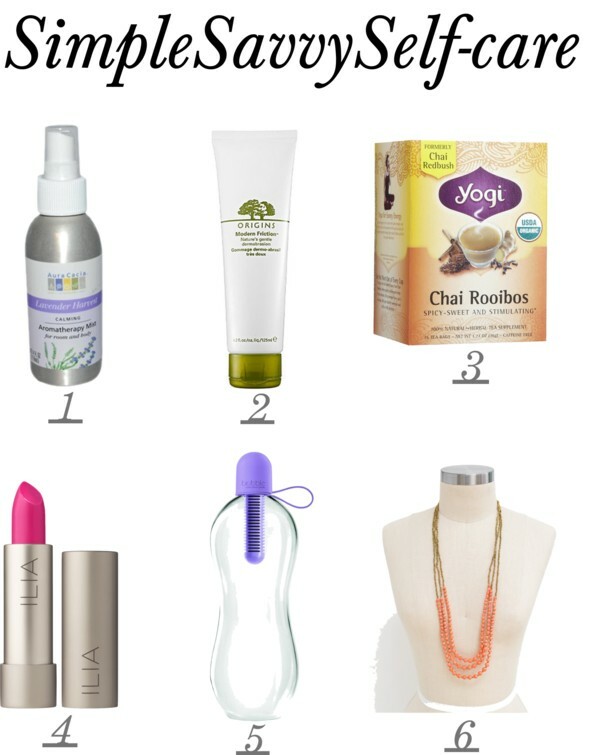 My 2014 SimpleSavvy favorites! — Simple.Savvy.Self. Obsessed is an understatement. I love all things lavender and I use this, mostly as a body spray, daily. Although, you can use it to freshen rooms as well. No harmful chemicals or heavy perfume headaches; just a light, lovely scent. I was staying with a friend earlier this year and we were getting ready to go out so I sprayed a little on. She quickly turned and said, "What is that & why does it smell better than my Chanel?!" I rest my case. Most of the exfoliators I’ve used in the past have been way too harsh on my skin. This; however, contains rice starch instead those chemical “beads” you’ll find in many products in the drug store. The result is super smooth, glowing skin. It’s gentle enough to use several times a week and although the bottle is little pricey you only need to use a very tiny amount. The tube will last several months. *Bonus! If you visit an Origins location, they’re pretty generous with providing samples of their products to take home and test out. That’s how I initially tried the Modern Friction. Plus, I save the little sample pots they provide and reuse them when I travel. I LOVE coffee! But coffee doesn’t always love me back, so this year I added in more lattes, of the chai variety, to my morning routine. My go-to combo for the last several months has been chai rooibos tea, with a little almond milk, honey and a sprinkle of cinnamon and cacao powder. The benefits of the rooibos tea are extensive: caffeine-free, packed with powerful antioxidants and minerals, and prevents against some cancers, just to name a few. I’ll either buy the pre-mixed combination like shown here or I’ll combine two (2) tea bags (one chai and one rooibos) and steep in hot water for several minutes. Another brand I’m really fond of is Numi Tea. I’m down with the bold lip. I’m actually starting to think, The brighter the lipstick, the better the day. ILIA is committed to providing products with top-notch ingredients that really work. This Neon Angel color was great for the spring and summer months. Don’t leave home without it! Earlier this year, I stumbled upon this water bottle and I’ve been using it ever since. It's small enough carry in my bag and it has it's own built-in filter so I can fill up wherever I go. My Bobble saves me money and keeps me well hydrated. Perfect for traveling as well. I love accessories! (Perhaps, more than coffee?!) So, when a company combines fun, stylish accessories with opportunities for women in Uganda to rise above poverty, it’s a purchase you can feel good about making. These handmade accessories have quite the inspirational backstory, so check them out and happy shopping!